Hi, everyone. Minimaru here from the MOSHI MOSHI BOX Harajuku Tourist Information Center! 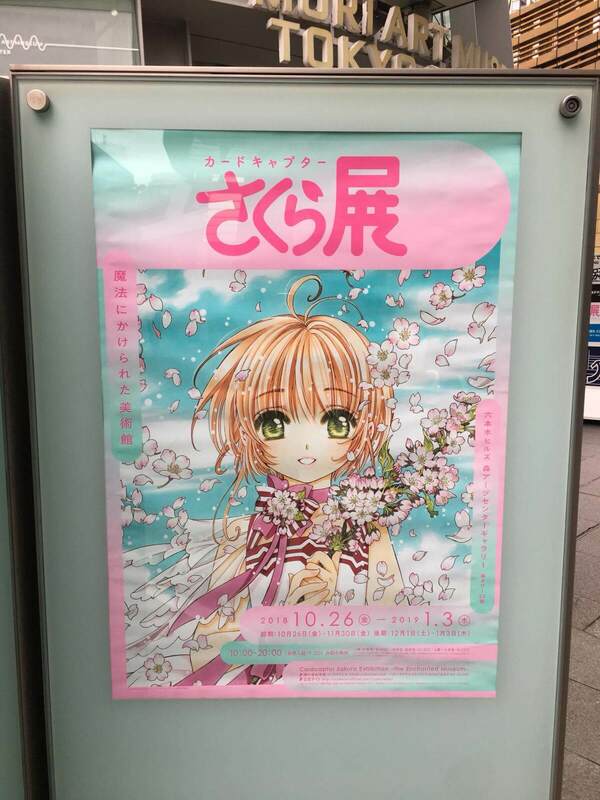 I went to check out the Cardcaptor Sakura Exhibition in Roppongi Hills. I was born in Hong Kong, and the Cardcaptor Sakura anime series aired there too. When I was a kid I would imitate Sakura everyday. I’m reading the new serialisation and watching the new anime too so I was really looking forward to visiting the exhibition. 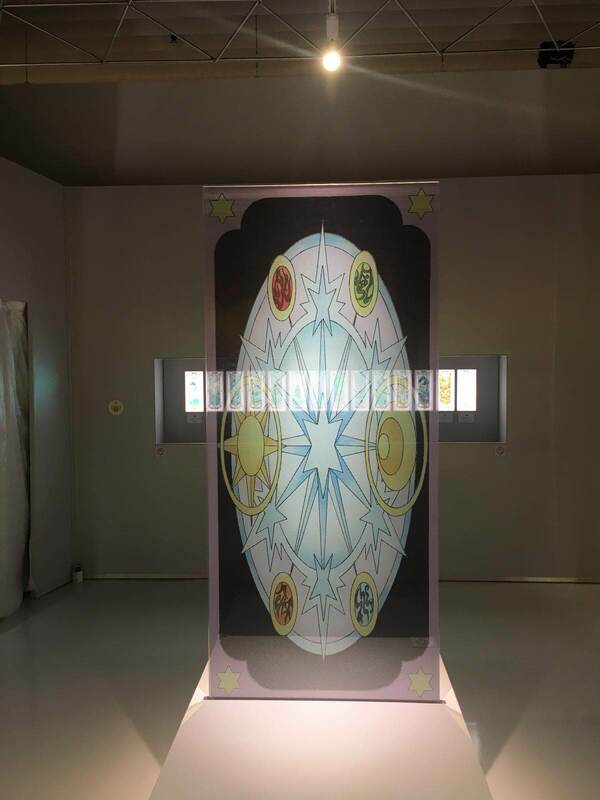 The exhibition is located on the 52nd floor of Roppongi Hills Mori Tower in the Mori Arts Center Gallery and has been running since October 26. It is split into two different periods and is ongoing until January. 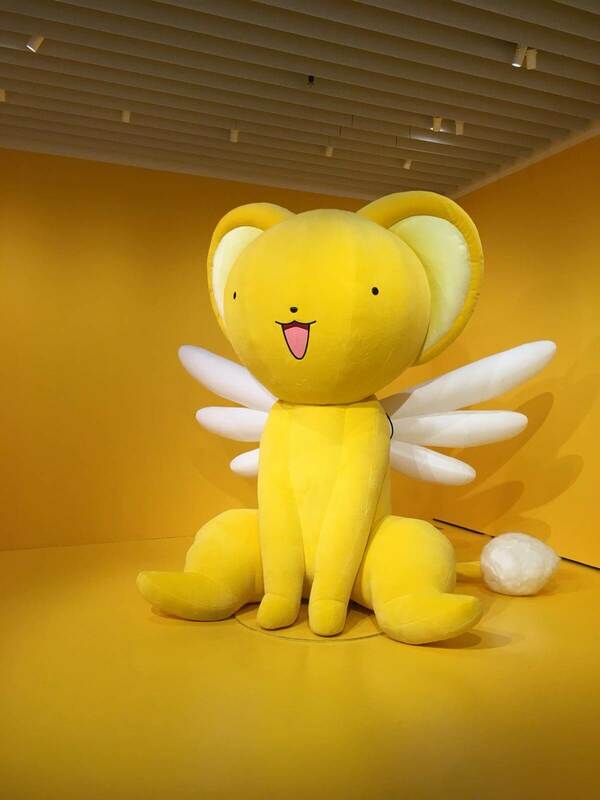 Without further ado, let’s head into the world of Cardcaptor Sakura! The moment you enter the exhibition you’re met with an enormous book! This area is called The Library of Beginnings which is home to works by prominent artists from all fields. 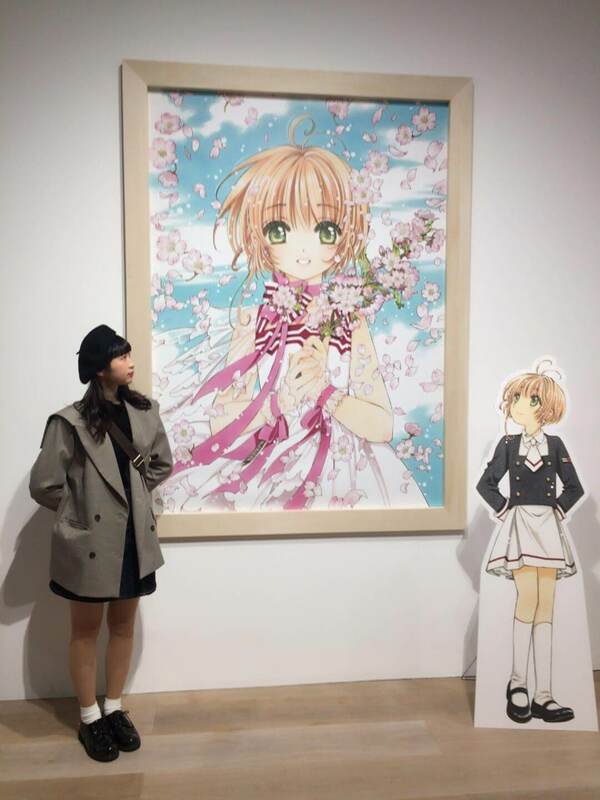 Each of them showcases the reason why Cardcaptor Sakura is such a popular series. 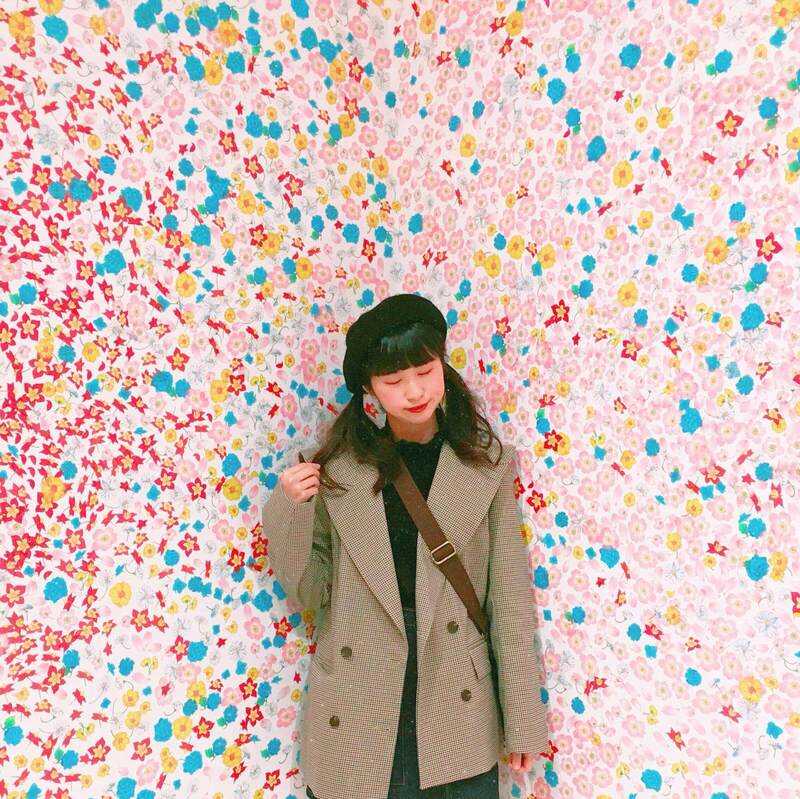 Next I entered the Flower Room. You’re allowed to take your favourite flower stickers here and stick them anywhere you like. 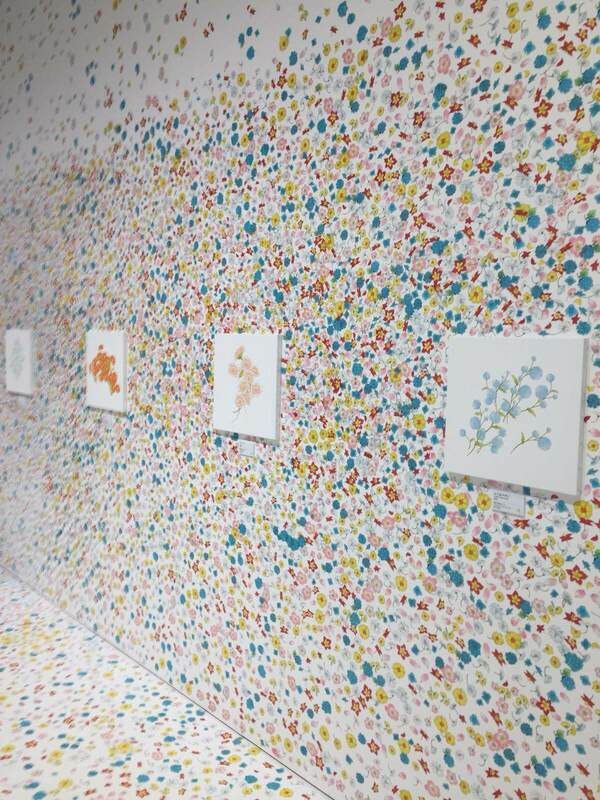 We look lots of photos of the artistic flower-bloomed room. The next area I entered was the Maze of Original Pictures. Photography here is off-limits. Be sure to visit the exhibition yourself too so you can see this area with your own eyes. 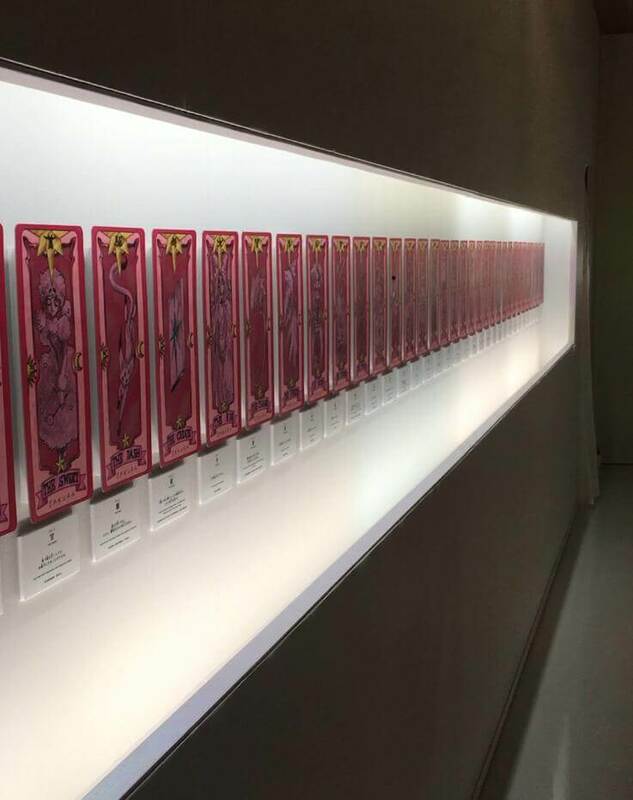 There’s around 200 original illustrations spanning across the series from the Clow Card arc to the Sakura Card and Clear Card arcs. I stayed in this area alone for half an hour! Moving on, I visited the Tomoyo’s Sieged Atelier area. All of Sakura’s outfits are made by her best friend Tomoyo – she always appears wearing something different. This area is filled with all the different outfits made by Tomoyo across the series. This one is of course my favourite! A gigantic Cerberus was in the next area! He’s so much bigger in the flesh, the picture doesn’t do him justice! You’re allowed to take a photo with him so be sure you get one if you visit! There’s another important thing you need to know about. On weekdays until December 21 at 16:00-19:00 you’re allowed to borrow Sakura’s wand and magical outfit. 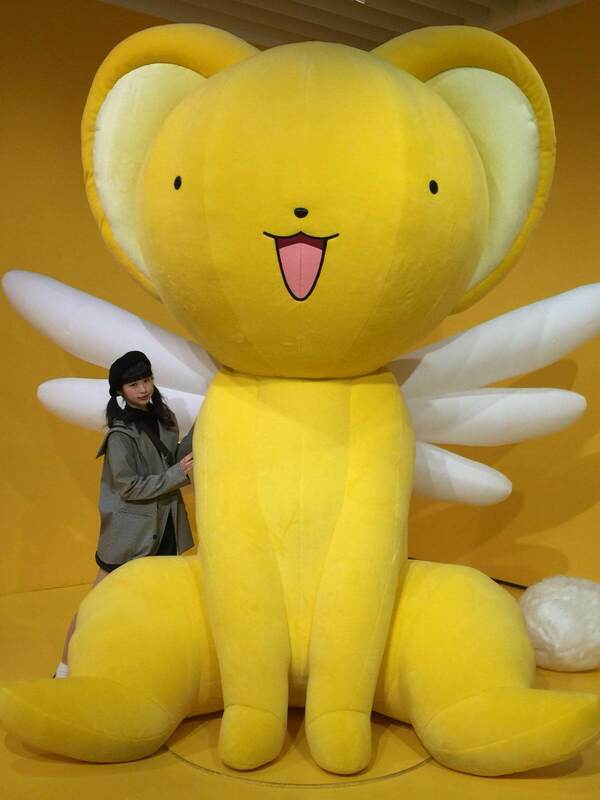 Transform into a magical girl and take a photo with Cerberus! 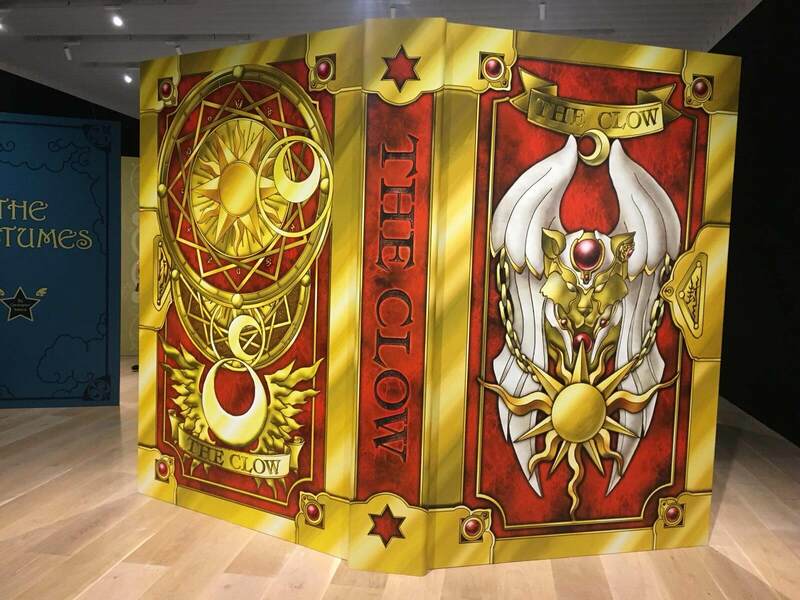 The final area is the Card Room where Clow Cards, Sakura Cards and Clear Cards are on display. It’s an overwhelming experience seeing all of the cards lined up. 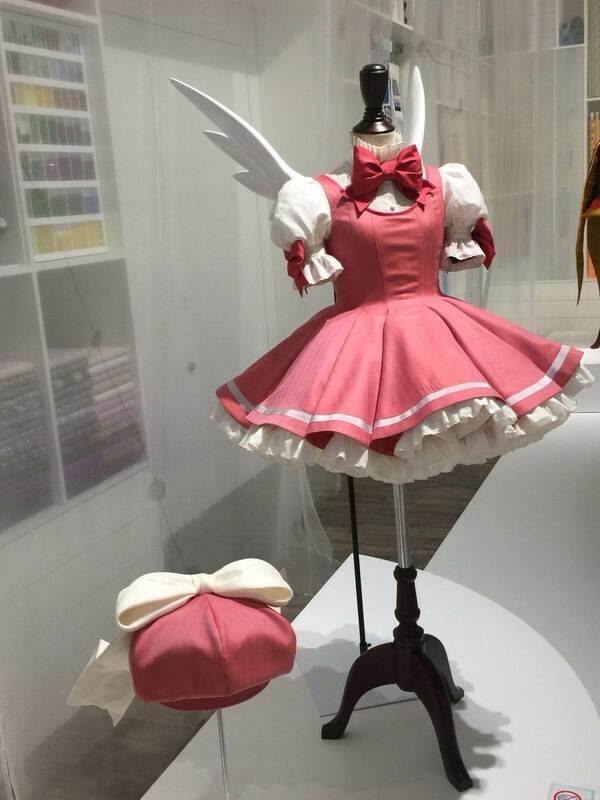 When you come out of the exhibition there is a Cardcaptor Sakura museum shop. They sell lots of exclusive and original merchandise you can’t get anywhere else. Being a fan myself I couldn’t contain myself and bought lots of things. 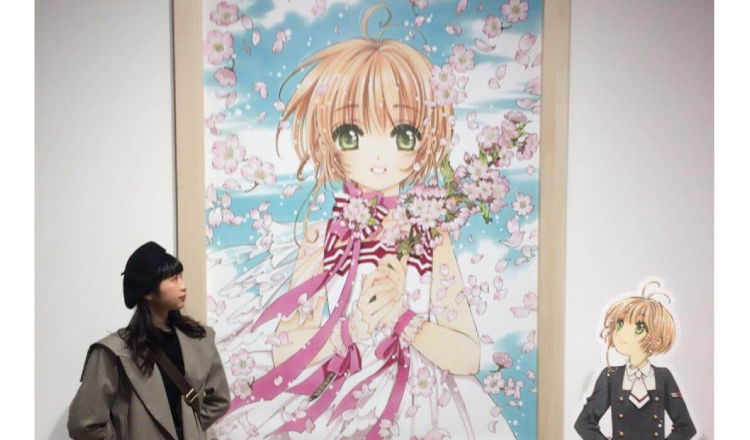 The exhibition really felt like Sakura had cast her magic on it. You’re sure to enjoy your time there no matter how many times you go back, so don’t miss out while it’s still running! *Select displays will be different for both periods.